Need a new decorative look? 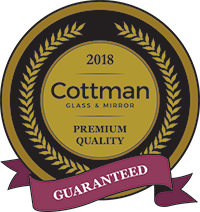 We provide a full range of glass options such as heavy glass, tinted glass, low iron glass, low-E glass, obscure or customized pattern glass, bent glass, art glass, tempered and laminated glass, and scratch-resistant DiamondGuard. Everyone's style, space, and budget is different. Let us help you see what's best for your space.